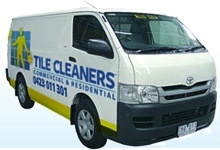 We are your specialist service for Travertine tile & grout cleaning, stripping & sealing. If you need advice on how to clean your old stone floor and tile grout to make it look like new and how best to reseal it so it keeps looking new, or need a professional to do it for you, then you have come to the right place. Travertine is a form of limestone, and is related to marble, actually falling somewhere between marble and limestone in terms of its development over thousands of years, deposited by mineral springs, especially hot springs, underground rivers and other water sources. Travertine often has a fibrous or concentric appearance and exists in white, tan and cream-colored varieties. It is formed by a process of rapid precipitation of calcium carbonate, often at the mouth of a hot spring or in a limestone cave. In the latter it can form stalactites, stalagmites and other speleothems. It is frequently used in Italy and elsewhere as a building material. The resulting stone is a smooth and very hard substance further characterized by its porous surface. These pores are the result of gases escaping as the travertine is formed. By the time it is quarried, travertine is naturally beautiful - a smooth, dense stone that exhibits a notable creamy color that evokes a certain old-world refinement. Extensive deposits exist at Tivoli, Italy, near Rome. In fact, travertine derives its name from this town. Tivoli was known as Tibur in ancient Roman times. The ancient name for the stone was lapis tiburtinus meaning tibur stone, which has been corrupted to travertine. Where can you use Travertine? Travertine tiles are stunningly stylish and long-lasting building product and can be both functional and aesthetically striking. The durability and attraction of Travertine as a natural stone is just unmatchable. Travertine is one of the strongest natural stone tiles available and is a beautiful building material for both flooring and walls, whether indoors or outdoors. Travertine is very popular choice as pavers and swimming pool surrounds. 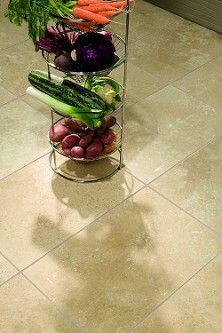 Travertine tiles create a natural look for any area as no two tiles are similar. Travertine tiles ensure a unique and exciting look for your entire home along with being enduring for several generations. Different cleaning and maintenance instructions and methods should be used on Travertine depending on its finish and wether it's sealed or left in its natural state. In General, Travertine tiles should be cleaned and maintained with non acidic products, and it is recommended to get them professionally cleaned every few years to help make them last longer and bring up the fresh look after the tiles start to look tired daily use. 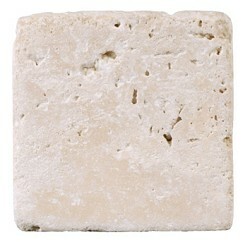 Travertine can be left in its natural state, with no polishing. Etched by acids. Porous with many visible holes, often filled with epoxy. Polishing unfilled travertine can be tricky. Polishing powders tend to accumulate in the holes and can make clean-up difficult. Because it is soft and has epoxy-filled holes, it should never be cleaned at pressures above 800 PSI and then only if the grout is in good condition. Sealants are layer forming treatments that produce a shiny (or natural) protective film on the surface. This sealer must be stripped and re applied from time to time. Different sealants are recommended for indoors than outdoors, and sealants cant vary in type, lifetime (durability), stain protective properties, and slipp resisting properties. Travertine, like other calcareous stones, is referred to as acid sensitive. Calcareous stones are readily dissolved in acid, therefore acidic products should not be used on Travertine tiles. As Travertine tiles can be sealed, this sealer may need to be removed and re-applied after it starts to wear off, this usually depends on type of sealer used, method used to apply it and the amount of traffic or use. This process is called stripping and sealing, and is usually required every 2-10 years depending on type of sealer, area used (indoor or outdoor), and amount of traffic or use. 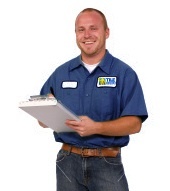 TileCleaners offers cleaning, sealing, and stripping and sealing servies for all residential and commercial properties. Our team is well trained, experienced and equiped with the latest equipment and wide range of quality products.